This is Scout and he was becoming a pest, as he does when he needs some exercise. 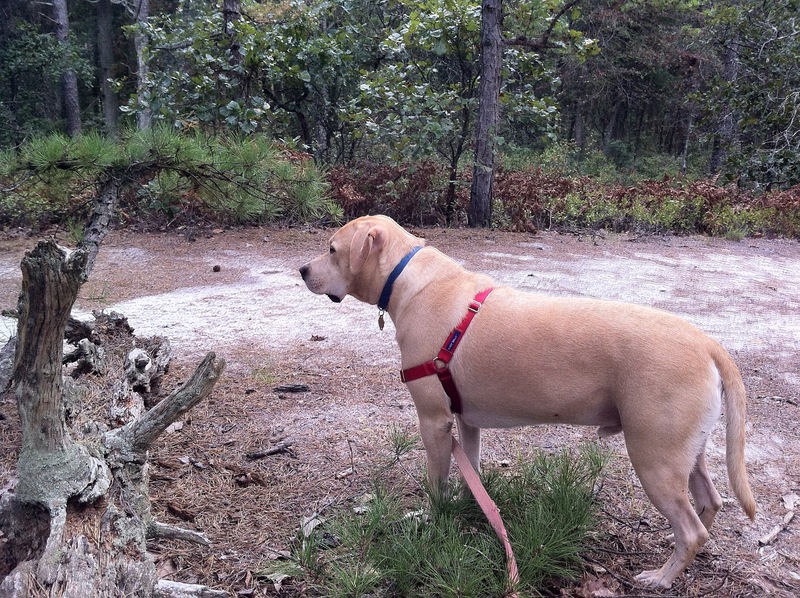 I decided we both needed a nice long hike on the Batona Trail in Wharton State Forest. Since all my antennas are down at home, and most of my gear is over at the new place, taking the first module of my go-kit would give me the chance to do some field operating. We stopped after a few miles and took a break. 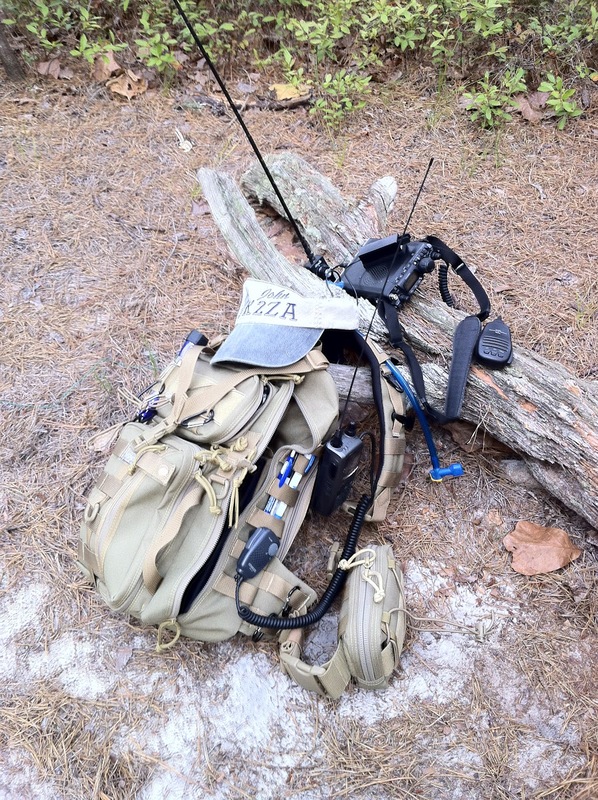 Here is the first module of my modular go-kit perched on a log. The radio is a Yaesu FT-817ND with a Miracle Ducker TL antenna and 33' counterpoise attached to the radio ground stud. It was getting late so I only had about half an hour of radio time available, so I was unsuccessful making any contacts. 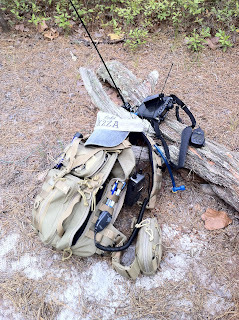 This was my first long hike with the Maxpedition Sitka pack, it was pretty heavily loaded at 18 lbs, but remained very comfortable for the whole hike (about 6 miles). Next hike will have to happen earlier in the day so I have more time to stop and operate. Here is some video of some attempted contacts on 20 CW (my favorite mode).